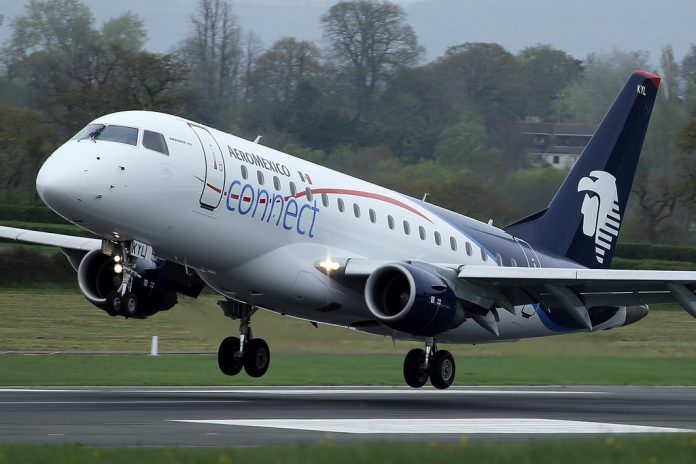 At Mexico, it was a Tuesday evening which was just like any other day until the almost fully packed Embraer jet operated by Aeromexico, crashed as soon as it opened its wide mechanical wings and took off. 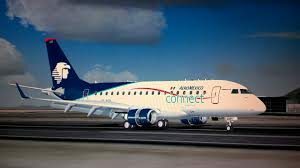 But the Mexicans are surely lucky as the crash caused no major injuries or killed any passenger. 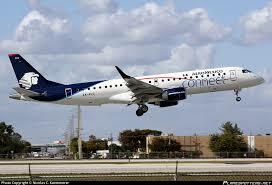 It was a medium sized jet carrying 103 travelers. The jet accommodated not just adults but 2 newborns as well. The silence of the peace-filled evening and the roar of the heavy rain broke at 4 p.m. The passengers and the crew realized that they were truly blessed when they all could manage to become safe far before the jet caught fire. A couple of passengers had a word with the press reporters and journalists. Some of them said that they clung to anything and everything that they felt was rigid to escape from the danger and thus it helped them save lives. One of the passengers, Jackeline Flores shared that she, along with her daughter got free when they ran through a hole in the aircraft. “I feel blessed and grateful to God,” she confessed. There were not many serious injuries but there was a little girl who burnt her legs in the unfortunate accident. The clear light blue sky of Mexico was drenched in the harmful vapors of the blazed jet. The thick and dark flairs of smoke rose high up into the sky. Jose Rosas Aispuro, the Governor of Durango, stated that the crash was due to the bad climatic conditions. A string of heavy wind hit the jet and it crashed. The same was cited in the air traffic control report too. 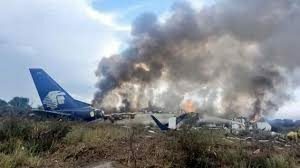 Aeromexico mentioned in one of the statements: “We deeply regret this accident. The families of all those affected are in our thoughts and in our hearts.” Although, no one died in the accident but the injuries have surely shaken the passengers who had boarded the plane unaware of what will eventually happen after boarding.